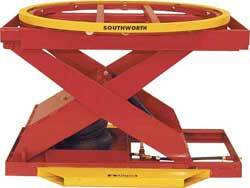 Air over hydraulic, which are built the same as a traditional lift tables except that the electric motor is replaced by an air motor. 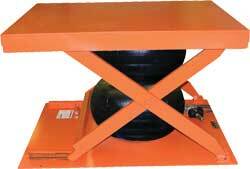 Lifts of this type are ideal in applications where electrical components cannot be used in the environment or when electrical power is not available. 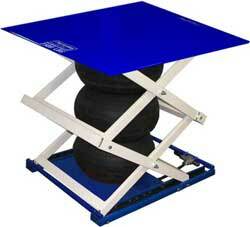 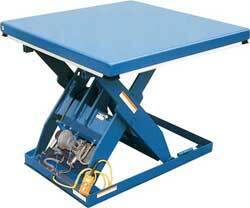 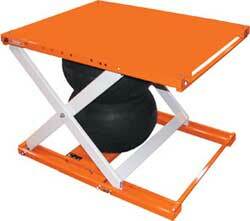 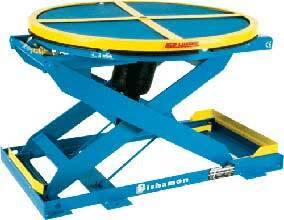 The other type is the air bag design which operate by inflating air bags under the table to cause lift. 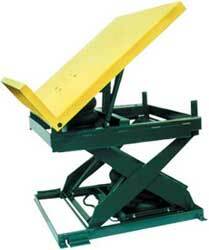 These types of air lifts are economical ways to cause lift. 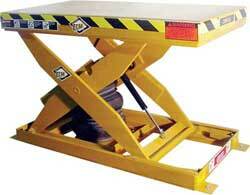 However, they consume considerable more energy than electric lift tables.